1. Each shooter needs to declare their intention to enter the qualifying process by the end of February 2018. An email to rickpollock@shaw.ca registering their intention to qualify will be sufficient. 2. Each shooter needs to be a member of both BRSC and OFAH during the qualifying year and the competition year. This is per the World Team meeting in Nelson, NZ. Contact Carolyn Pollock at cpollock256@shaw.ca to become a BRSC member. To become a member of OFAH visit: https://www.ofah.org to register. Proof of membership in both organizations will be required. 3. During the competition season in 2018, shooters will need to email rickpollock@shaw.ca with evidence of their placings at various events to be added to the qualifying tally and roster of shooters. 4. At the end of 2018 each shooter will be asked to confirm by email if they plan to attend the World Championships in Calgary and submit a $500 CDN deposit to the World Team to be used against the entry fee for the World Championship which is expected t be $400 USD. 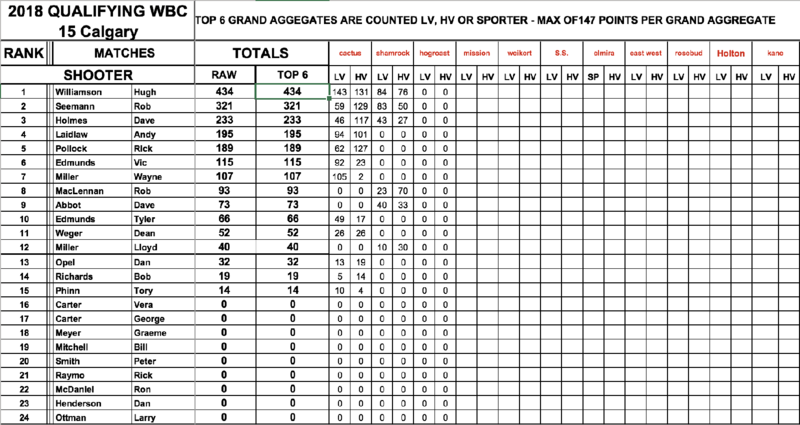 Note: the qualifying ranking will be in accordance to the previous years format with your rank based upon how many points you have accumulated in the qualifying year. 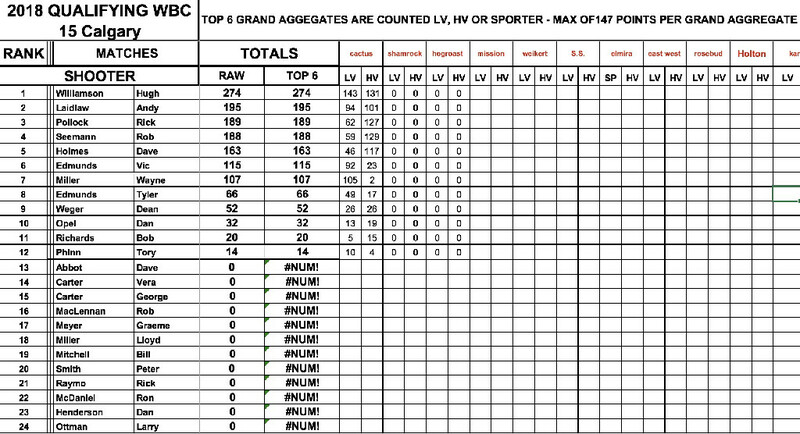 Points are awarded based upon how many shooters you placed above in your (6) best Grand Aggregates (LV, HV, SP) during 2018. There will be a cap of available points in each Grand Aggregate based upon the total # of shooters entered in the 2018 Cactus Classic. Team selection will be based on this final ranking of accumulated points, receipt of entry fee deposit, with final selection taking place no later than December 31st, 2018. Start planning now as it is expected to be a very competitive qualifying year with greater than normal interest due to the match being in Canada. Shooters this is a reminder that the deadline to throw your hat in the ring as a qualifier for the World Championships in 2019 is fast approaching. Feb 28 is the deadline. Interested parties need to contact me at rickpollock@shaw.ca and indicate they will be entering the qualifying process. We are at 21 entries so far, for the 12 available positions. We are under way for the 2019 World Team qualifying. Remember to send me your results as you attend matches throughout the year. Only the Cactus Classic has run so far, and scores have been entered for those that attended. 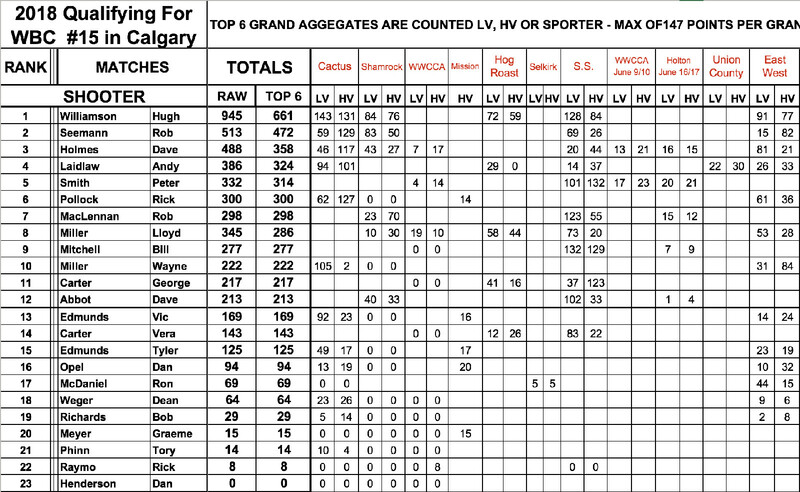 Results are up, post IBS Nationals. 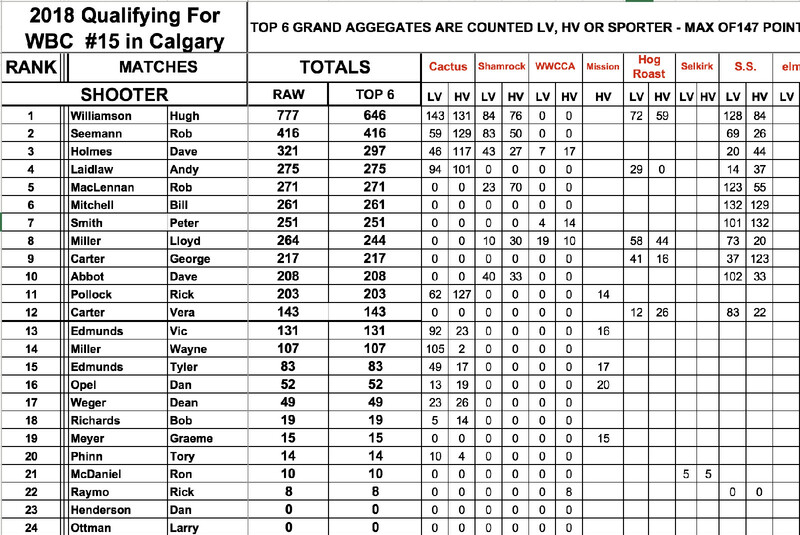 Attached is the latest results post the match at Rosebud this past weekend. 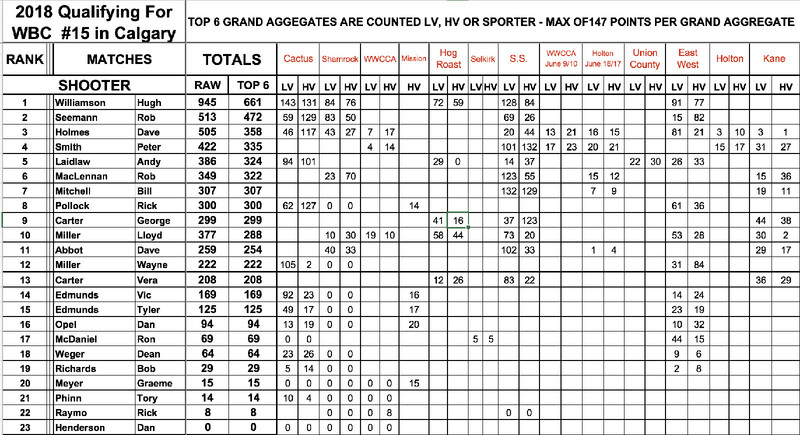 Here are the results post the NBRSA Nationals in Holton, Michigan. 20 Canadians were at this match working very hard to accumulate enough points to qualify for the Canadian World Team in 2019. It was a hard fought contest and I am very proud of the efforts of all our shooters. Canadians will have 3 very formidable teams in Calgary. 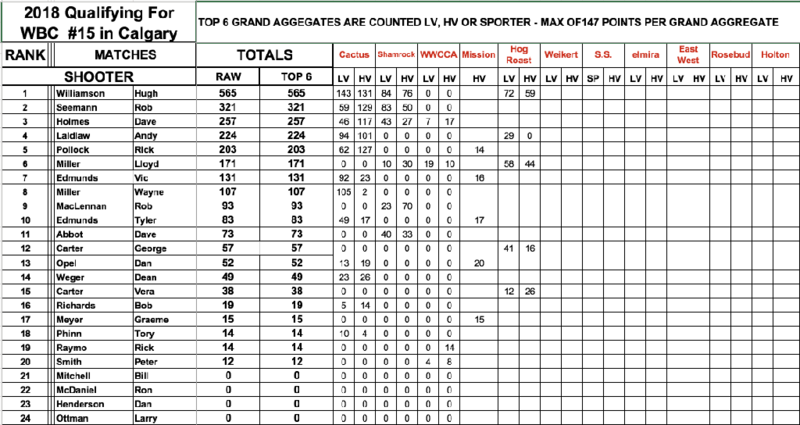 I expect this will be the final standings, and letters of invitation to join the World Team will be sent out to the top 12 shooters.